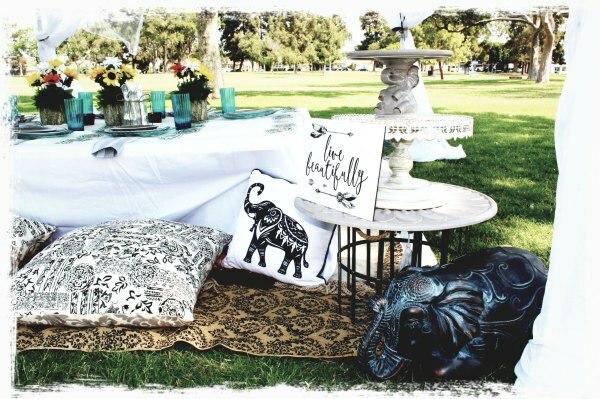 Dining never looked so good with our boho styled Glamping Picnic. Create the perfect setting with our 7ft Lace Teepee, or a styliezd 10x10 gazebo. 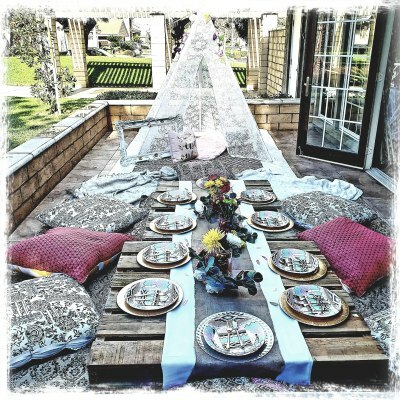 The glamping picnic is a perfect touch for a 'Kidchella' themed birthday party. Or as a cute and cozy dining setting for your hosted girls brunch. $29 for standard delivery within our local Delivery Zone. Delivery to a location outside our Delivery Zone subject to seperate fee confirmed at the time of booking. As with all our Glamping Parties our simple set up and takedown is all covered in standard pricing. You won't have to worry because we deliver, set up , style, and pick up the next day. You are left to just enjoy your party.